In January, a decade of preparation will become "the new normal" – insurers in Europe will start to operate under the Solvency II regime. An attempt to harmonise the 28 EU member states' insurance regulations in the face of huge cultural diversity, differences in market maturity and wide ranging product features was never going to be easy. The journey has certainly been challenging, but benefits have arguably already started to emerge and hopefully stand the industry in good stead as it gets back to the day job of delivering products and services to meet needs which have changed quite rapidly while insurers have been looking inwards. Early on, it might have seemed that the new regulations were simply about solvency – after all it is called "Solvency II"! However, during the preparations, companies have come to realise that it goes much deeper than that – the new regulations challenge companies to consider uncertainty in a much more structured way and to ensure that they have the resources and processes to cope with it. This shift is arguably one of the greatest steps forward. For many firms, the first questions were nonetheless about the solvency calculations. Even for UK insurers, who had been operating under the Individual Capital Assessment regime, the new regulations required an increase in the breadth and granularity of analysis, as well as associated increases in documentation and validation. The challenge was significantly greater throughout much of continental Europe where existing solvency regulation was less risk-sensitive. The requirement to not simply use a formula or model, but to actually robustly justify the extent to which it was appropriate, should have sent an early signal that the new regime is intended to be about "understanding" not just "complying", but it took a while for that message to really come across. This burden of "proof" is a common challenge for firms in trying to comply with the new regulations – no-one, even now, is totally sure how much detail this evidence should contain and one suspects that several iterations of regulatory interactions will take place before some sort of consensus starts to emerge. A large number of companies concluded that they would need significantly better modelling capability if they were to satisfy the new requirements – not only for internal model use, but also for the ORSA. Some needed more computational sophistication, others required more speed and many needed both. This triggered the start of an "arms race" with bigger, better and faster processing which arguably misses the real point of the problem – the reporting process is simply not designed for production-style demands in most companies. Models are often spuriously complex, discipline in separating test and production environments is weak, and the number of "out-of-model" adjustments carried out in spreadsheets is far too large to police effectively. The companies we helped very quickly understood that getting to a place where results can be calculated frequently, quickly and accurately meant a culture change in how actuarial reporting was conducted – having modern technology was necessary but not sufficient. In addition to the improved performance of cash-flow models, we also saw a rapid development of so-called "proxy" modelling approaches. These have evolved enormously from the first efforts and now offer a real possibility for even the smaller firms to assess their financial position on a very frequent basis. The realisation that better modelling is not just about faster processors hints at the second wave of insights that the journey towards Solvency II has revealed. The search for something, or someone, to blame for the most recent global financial crisis often led to criticism of the culture in some areas of financial services – within banking in particular. Although the need for a "good" culture was already highlighted in the Solvency II drafts, it has somewhat grown in significance as regulators latched onto this important aspect of company management. The recognition that managing a business requires a good understanding of how people collectively behave in different circumstances has to be a good thing, and the firms who do this well should enjoy a real advantage. The fact that firms can no longer be viewed as machines that can be "controlled", but rather must be managed through common purpose and decentralised empowerment, also leads to another revelation which has emerged quite late in the process. 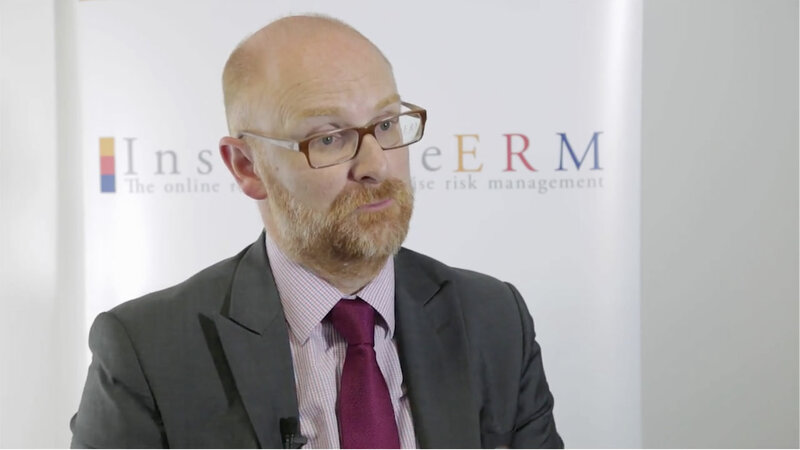 As firms began to really get their minds around the risk management and governance aspects of the new regulations, they have increasingly realised that a traditional compliance-style framework is not going to work. Until quite recently there was a default assumption that the best way to satisfy the governance requirements of Solvency II was to put in place a classic "Three Lines of Defence" model. The concept of having people overseeing the best endeavours of others intuitively makes sense. However, as firms have looked more carefully at how this works in practice, there have been significant concerns that it doesn't actually deliver the intended outcome. When people think their errors will be caught by someone else, it actually makes them less careful. Indeed, many parts of the armed forces have moved away from a three lines of defence model for precisely this reason – they want the front line experts to be as focussed as possible on managing the risks without assuming someone is backing them up. Until quite recently there was a default assumption that the best way to satisfy the governance requirements of Solvency II was to put in place a classic "Three Lines of Defence" model. This touches on a related issue – how can someone outside of the front line business sufficiently challenge what they are doing? Risk teams were initially duplicating expertise in the "second line" so that they could mount a credible challenge to the "first line". In practice, a second expert cannot truly double-guess the first and so structures have evolved to put much more accountability on the business to understand and present their risks themselves. The risk function becomes more about facilitating insight and helping the business to think through more complex situations involving multiple areas, as well as encouraging a continuous "predict and learn" culture to help anticipate future threats. This style of fully integrated risk management actually positions firms to be more resilient, because the infrastructure is more naturally responsive and geared for collaborative response, rather than internally combative resistance and "good news" reporting. So, as we enter the new regime, the average industry participant has better visibility of their key risks and a greater awareness of the role that people and culture plays in running an effective and resilient business. Whilst this is good, it has come at something of a cost in terms of distraction, as well as significant expense. During the decade that it has taken to modernise the industry's risk management, a lot has happened in the outside world. The development of new technologies continues at an eye-watering pace. The improvement in mobile connectivity has transformed the extent to which everything talks to everything else, and the amount of information being generated each second is mind-blowing. Perhaps even more staggering is the ability to harness and process this information cheaply in real-time. This is having a huge impact on social structures, consumer behaviours and is eroding old sources of competitive advantage very quickly. As firms emerge from project-mode this new reality needs to be rapidly understood, and embraced, before new entrants change the market fundamentally. Related to the technological advances, we find our global economy is more connected than ever. The fortunes of one country more quickly, and widely, impact those of others, meaning that events happening in far corners of the world potentially have large implications for everyone else. This makes it more difficult to plan and invest for the longer term and certainly requires a strong emerging risk process to be in place, as well as the ability to be responsive and resilient as things change. This dynamic environment is also compounded in the UK with some fairly fundamental changes being implemented around retirement provision. Changes have been made each year for some time, making it very difficult for consumers to plan properly for their transition from full-time work. While other countries have continued to innovate solutions to the challenge of retirement saving and income provision, the UK has arguably stagnated. The dynamic political situation and the uncertainty about how Solvency II would treat long-term guarantees have left providers and advisers rather unwilling to do anything too different. As providers become clearer about the operation of the new regulations, they can get back to being creative. Consumers still want certainty over some elements of their retirement provision and also want to grow their savings to meet later life needs. Modern life also means that they need more flexibility than old products offered. In the absence of a new range of products it seems clear that at least one generation of people approaching retirement could face the real prospect of a very difficult transition. Despite the continued prospect of learning what it really means to run an insurance business under Solvency II, at least there are more profound and exciting things that companies will start to focus on which will add a huge amount of value to society.